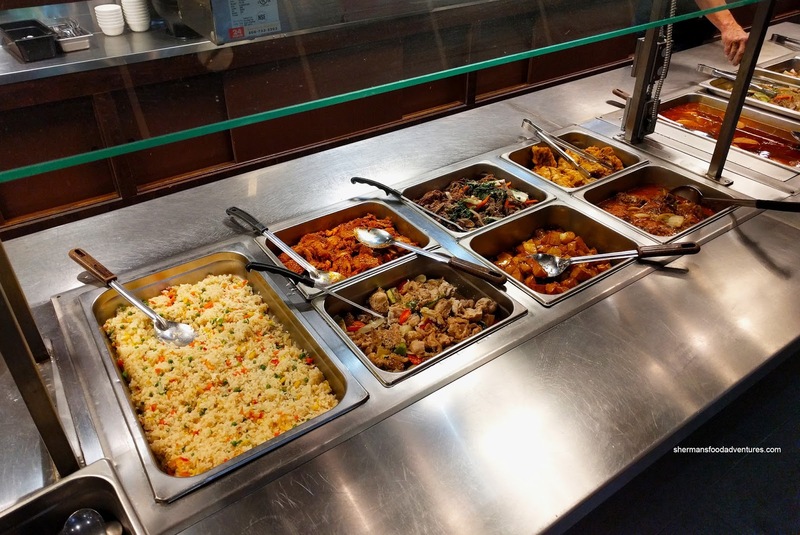 We all know that Asian eats represent some of the best value when it comes to eating out. Sure, we won't mention the new "modern" or fine dining iterations as they are in a different category and subsequent price-point. However, this discussion comes to a complete halt when we move onto Korean cuisine. It may something to do with prep, time to cook the food and ultimately if we are referring to BBQ, the cost of the meat. Yet, other than AYCE, a Korean dining experience can quickly add up. 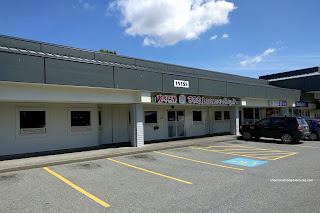 There have been several AYCE Korean spots in the GVRD that have come and gone with only a few remaining. 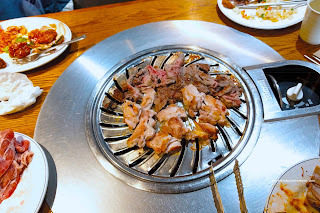 We decided to check out Seoul Grill House (that replaced another AYCE Korean spot as well) in the Guildford area. There was a selection of hot food which included Fried Rice, Spicy Pork, Bulgogi, Stewed Potato, Fried Flounder and Pork Bone Soup. 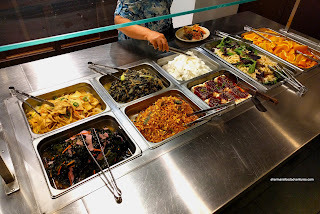 The 2 best things in this section was the potato (albeit too sweet and sticky) and the pork bone soup (spicy with soft fall-off-the-bone meat). 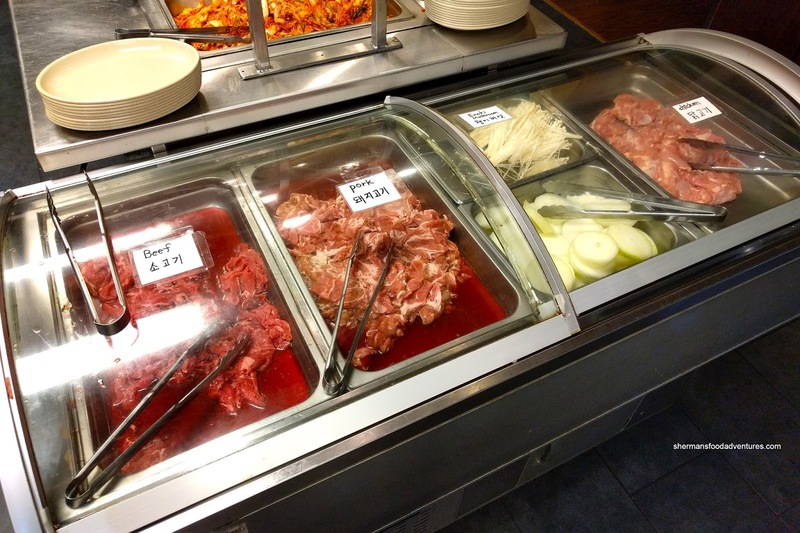 The rest of the meats were lackluster, bland and dry. 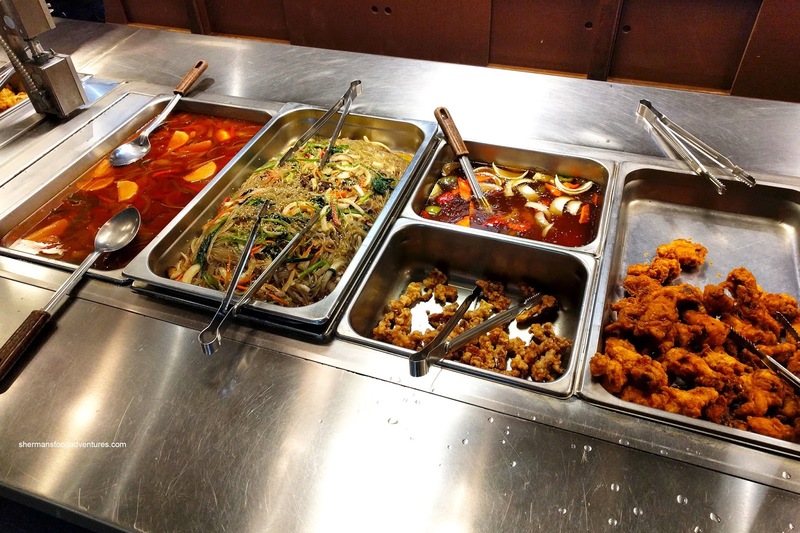 In the next section of hot eats, we found Japchae, Sweet & Sour Pork and Fried Chicken Wings. All 3 of these were good where the japchae was not greasy and not overly sweet. There was actually a decent amount of ingredients (including beef) to be found. The fried chicken wings were crunchy and succulent while well-seasoned. 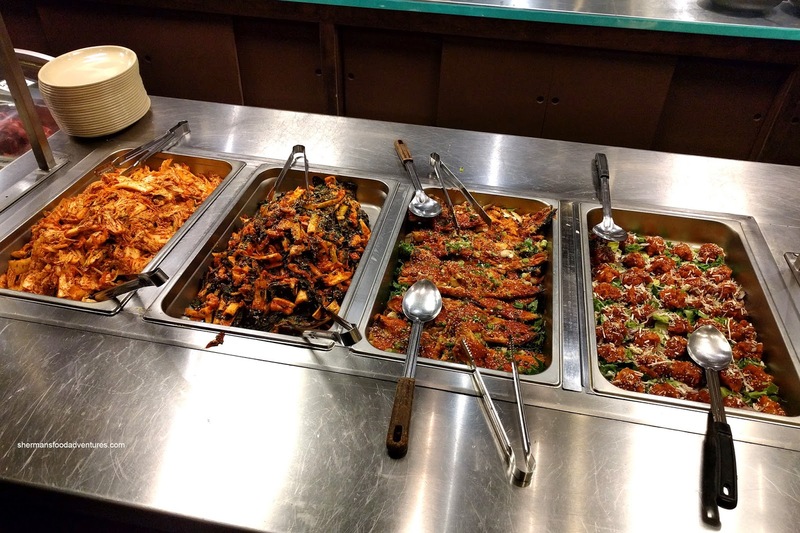 Included in the Banchan section, we found Kimchi, Spicy Squid & Veggies, Marinated Pollack and Spicy Tuna. I found the kimchi to be okay, but a little bit on the sour side. The spicy squid was the best of the bunch having a tender chew while being well-seasoned. The rest consisted of Pan Fried Fish Cake, Seaweed, Yuchoi Namool, Spicy Sprouts, Pickled Daikon, Tofu and Udon Salad. Pretty standard stuff, but the fish cake was quite good texturally (slight chew and rebound) while being sweet. The crunch and tanginess of the daikon was appetizing while the spicy sprouts went well with rice. 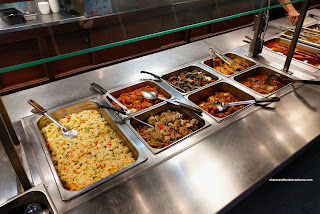 On that note, behind this section was items to construct your own bibimbap. As for the Korean BBQ, we had a selection of meats that included Beef, Pork and Chicken. They were not the marinated type (which was fine by me as they can be too sweet sometimes), but sauce was available to cook or dip with. The pork and chicken turned out to be decently tender after grilling, but the beef was disappointing. It was slightly thick and lean which meant it was dry and chewy once cooked. However, for the low price of $13.00 (Mon-Thurs) and $15.00 (Fri-Sun) for lunch, this was more than acceptable. I'm not sure if I would pay the extra for dinner ($20.00 and $22.00 respectively) as I could easily have better BBQ a la carte somewhere else.